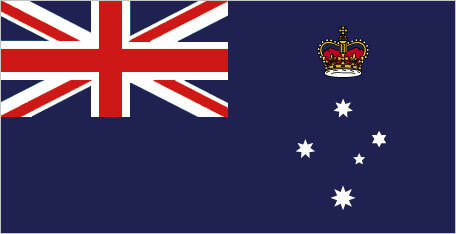 The state flag of Victoria. 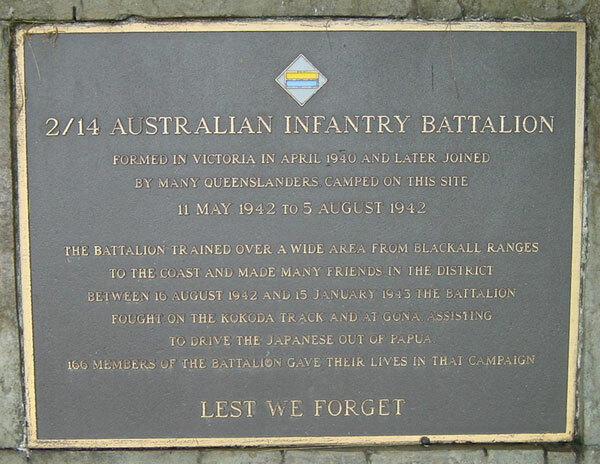 This plaque, at the base of Mount Ninderry near Yandina in Queensland - commemorates the 2/14th Infantry Battalion which formed part of the 21st Brigade, AIF (Second Australian Imperial Force). As the plaque indicates, this famous Battalion formed part of the force which took part in the magnificent 'fighting withdrawal' on the Kokoda Track. 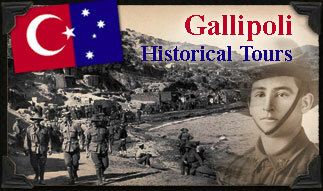 Under the command of Brigadier Arnold William POTTS, the 21st Brigade (2/14th Battalion, 2/16th Battalion & 2/27th Battalion hindered a quick advance by Japanese forces in their thrust to capture Port Moresby. The 2/14th was also supported by the Militia Battalions of the 39th Infantry Battalion and the 53rd Infantry Battalion, AMF (Australian Military Forces) on the Kokoda Track. Without a doubt, Australia owes much to the men of the 2/14th and the other units, which fought to keep Australia free from Japanese Imperialism during the 1939-1945 war. Whilst this plaque is actually laid in Queensland, it is included in the Victorian manifest as this battalion was in fact, a Battalion raised in the state of Victoria.